The Second World War was also the time when cutting edge, even bizarre weapons became known. Nothing pushes technology forward like a war. World War II gave us modern computing, modern rockets, improved surgery medical care, radar and many other stuff. Not all creations from the World War were quite successful or had such a big impact. Some of the inventions, particularly weapons were simply bizarre. If there were strange weapons, some were really terrifying, especially the huge ones that were actually secret weapons. Speaking of huge weapons, nothing could be so scary than the humongous Gustav railway gun. 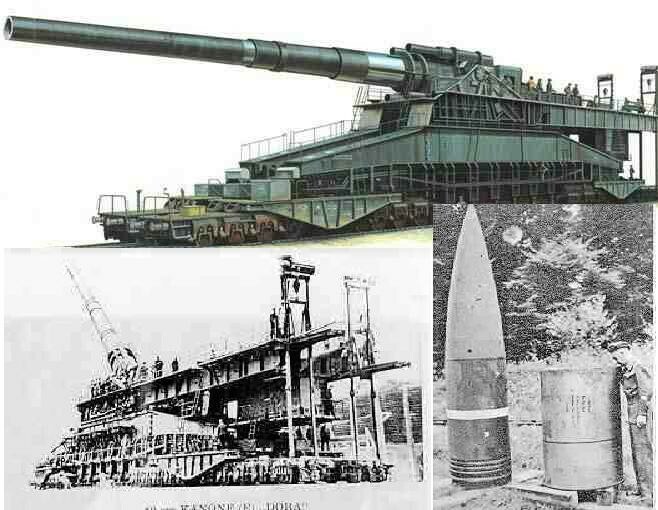 The German railway gun weighed 1,344 tons, measured 13 meters high, 47 meters long and 7 meters wide. It is manned by no less than 500 men, needed three days to set up, should be disassembled in order to move and not destroy the tracks. The shells were also massive at 800-mm caliber. However, this railway gun was used briefly. Some described it as a waste of money and effort. 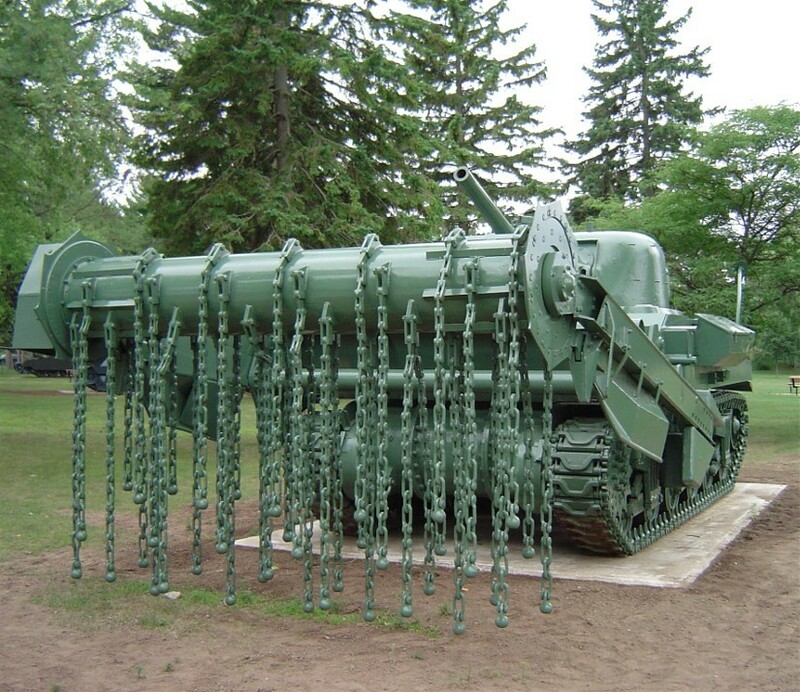 Here is a list of other astonishing weapons from World War II. Another German supersized cannon, called Vergeltungswaffe 3 or V3 Cannon was one of the weapons used in WWII. 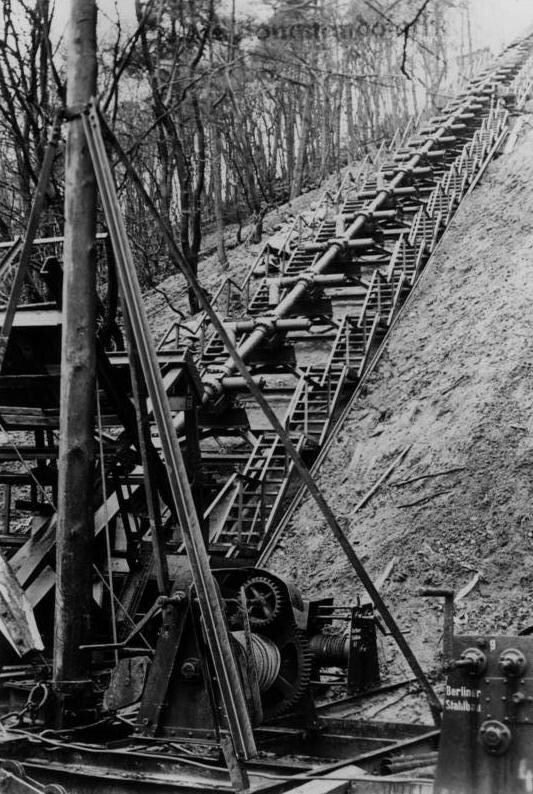 Also called England Cannon, the super gun was built in a hill to fire artillery shells from France to London. However, despite its size and presumed power, the V3 was ineffectual, killing only 10 people and wounding 35. Probably the most exotic device used during the war was the explosive rat. The collected rodents were skinned, filled with explosive and sewn. They were placed among coal beside boilers. Who would not throw a rat on fire? The unlucky person to throw it would be clueless as it may cause a strong explosion. However, the container where the rats were placed was intercepted by the Germans before the rat explosives were even used. In the end, it was exhibited at German military schools. 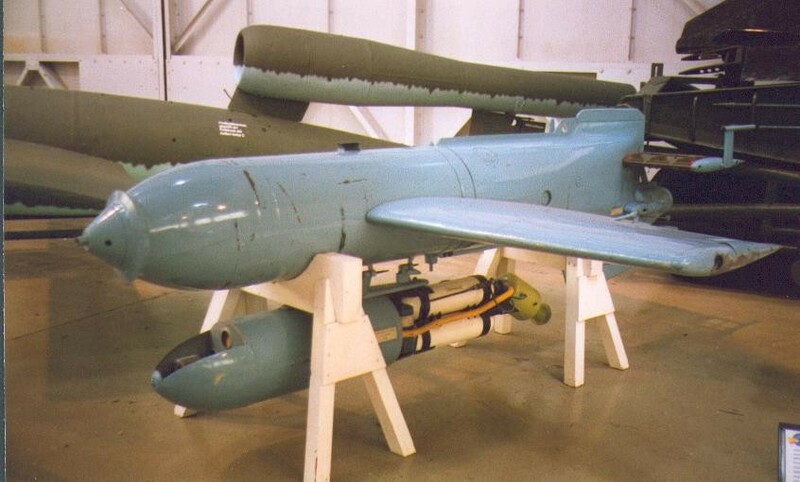 The Ohka or Yokosuka MXY-7 was a Japanese invention. It was a big, manned bomb built for Kamikaze attacks. It was powered by a rocket and guided by a human. US sailors called it Baka, Japanese for idiot. It was carried under a Mitsubishi bomber when target is in close range. The pilot would glide to the target and once closer, would fire three rockets and fly the missile towards the target. Its effectiveness diminished when the Allies learned to attack it, but mind you, it was able to sink a US destroyer. The anti-tank dogs are desperate measures by the Red Army. Suicide dogs were trained that there is food below tanks. 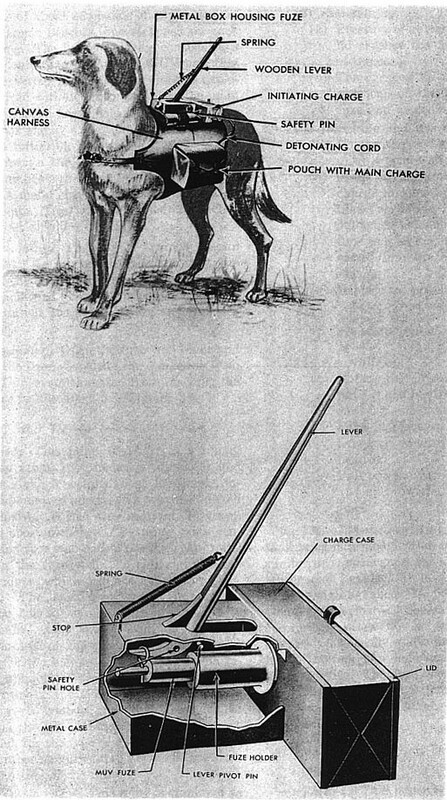 Bombs were strapped the dogs and these were used to fire German opponents. These were very effective, that Germans almost shoot any dog on sight. 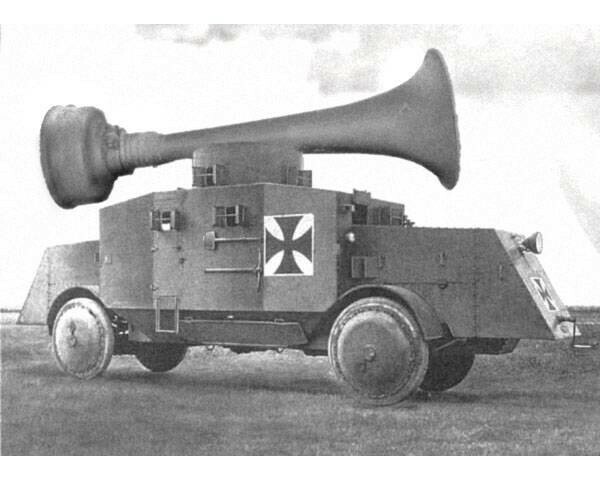 These were unusual vehicles developed by the Allies and named after Percy Hobart, an expert in warfare. These vehicles include the Sherman Crab, the AVRE Bobbin and the AVRE Bridgelayer. 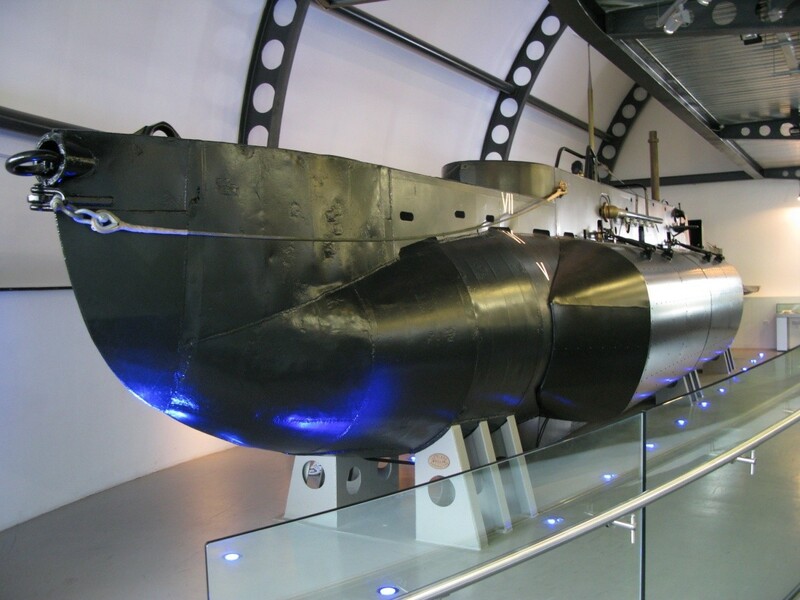 These small submarines could reach up to 2,000 miles and 300-feet deep. They were manned by 4 people and could travel at 6-knots speed. They were planted with mines and released on the hull of the enemy’s ship. 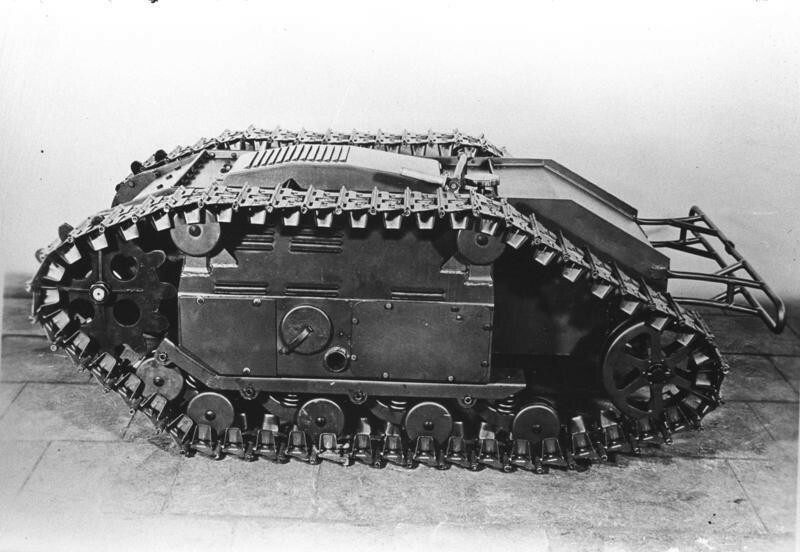 These doodlebugs were remote-controlled carriers for demolition. They were used by the Germans to transport bombs to target. Thousands of these devices were produced, including a bigger version. However, they were hard to control and quite slow. This guided weapon was effective during the war. It was radio-controlled, with a rocket that fire for 10 seconds then glide to the target. It was able to sink HMS Egret, a British corvette. By the end of the war, however, the Allies figured how to interfere the radio signals that reduced the effectiveness of the device. Lastly, the Nazis were good at psychological warfare. They used audio and took a steps further by using sound waves to cause harm. The sound cannon are a range of parabolic reflectors that took the sounds of explosion and create a lethal beam of sound. Most of these weapons did not quite make it to a wider knowledge of the public. The good thing is that some of them offered ideas in technology to be developed. Zane’s World Copyright © 2013 - 2019 All Rights Reserved.